Farmers in the Midwestern U.S., who recently experienced the coldest weather in a generation, are saying they knew the extreme weather was coming before it was officially predicted. This foresight was not due to meteorology, but to the way their animals were behaving. Reuters spoke with Deanna Brennecke, an Iowa cow-calf farmer who said she knew the cold was coming days before because of the behavior of her cattle. They were eating far more feed than usual, putting on weight to help keep warm before temperatures plummeted. “They were meeting us at the gate, filling themselves full, and we just knew,” said Brennecke. Anecdotal evidence like this suggests that animals can, to an extent, predict the weather. However, it has never been scientifically proven. What Causes This Heightened Sense? 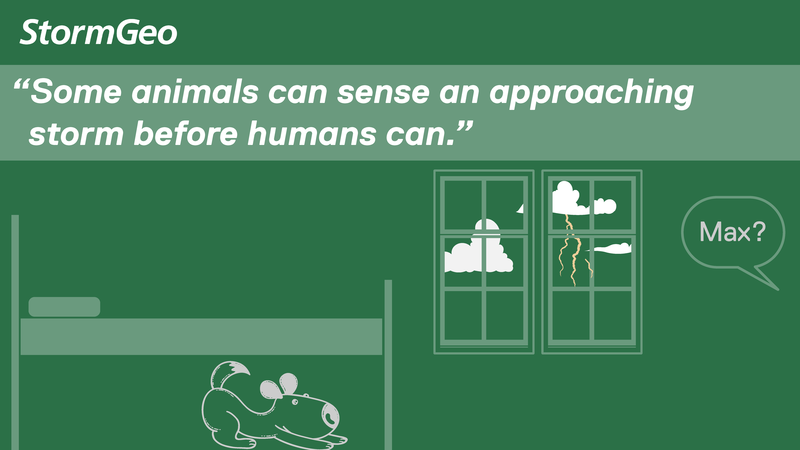 What we do know is that animals react to environmental signals that come when weather changes. For example, extreme weather events like hurricanes cause large decreases in air and water pressure. Many animals can quickly sense these changes and will often behave strangely, flee or hide for safety. Animals have been known to exhibit unusual behavior before a storm. This could be due to their keen sense of smell and hearing, along with sensitive instincts. Dogs may also sense the change in barometric pressure that comes with storms, causing them to bark, cuddle, or hide in an attempt to seek shelter. Researchers observed this type of behavior among a group of sharks as they tracked these animals’ movements during extreme weather events, including Tropical Storm Gabrielle in 2007. After the barometric pressure dropped just a few millibars, which corresponded to a drop in hydrostatic (water) pressure, several sharks swam to deeper waters where there was more protection from the storm. Birds and bees also appear to be able to sense this drop in barometric pressure and will instinctively seek the cover of their nests or hives. Birds also use this sense of air pressure to determine when it's safe to migrate. Even humans can have reactions to these pressure changes—explaining why some claim they can predict a storm due to the headache they get the day before the storm’s arrival. This is likely a reaction to a decrease in atmospheric pressure, which creates a difference between the pressure in the outside air and the air in your sinuses, resulting in pain. The relationship between temperature and chirps is caused by a rise in the cold blooded cricket's metabolism that occurs when the temperature rises. A higher metabolism provides more energy for muscle contractions or in this case, chirping. Dolbear spent hours observing the snowy tree cricket to determine this equation, which is believed to be accurate within one degree for the field cricket. You can use the calculation by counting the number of chirps your hear in 15 seconds and adding 37. The sum will approximately equal the current temperature in degrees Fahrenheit. While we won’t be using a cricket as a thermometer any time soon, horse hair was once used to measure humidity. Before the advent of modern electronic sensor-based hygrometers, which measure humidity, hair hygrometers were used. 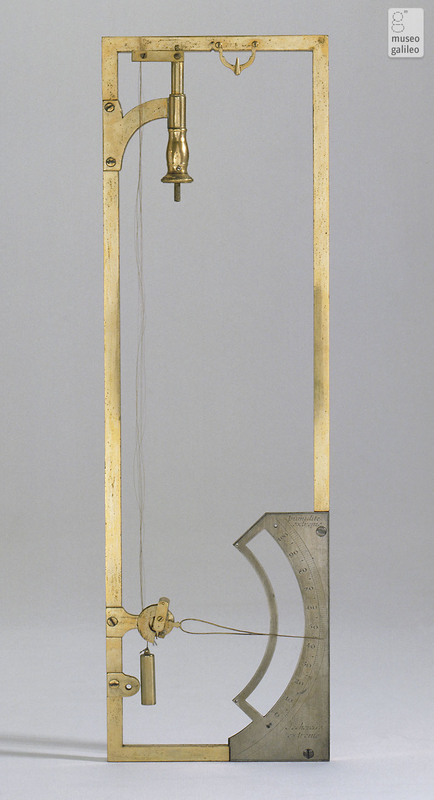 This contraption consisted of horse hairs glued to two holders. As the hairs stretched and contracted from humidity, any change in length was taken as a measure of relative humidity. One of the most well-known and largely celebrated instances of animals predicting the weather is Groundhog Day. Based on an old superstition brought to Pennsylvania by German-speaking settlers in the mid-19th century, the day relies on one specific groundhog, Punxsutawney Phil, and whether he sees his shadow or not (a shadow meaning the early arrival of spring, no shadow meaning six more weeks of winter). The holiday continues to be celebrated across Canada and the U.S. despite numerous studies refuting the accuracy. In fact, our own meteorologists correctly predicted that incoming clouds would block the groundhog’s shadow, confusing it into thinking that spring was around the corner, which we now know is not the case. Animals may be able to react to changes in weather faster than humans, but we should not count on their behavior to determine how much snow will fall next week or how severe a hurricane will be. Fortunately for us, that information is still up to the weather experts to determine.